(U.S. Army National Guard photo courtesy Master Sgt. John DAndrea. BUFFALO-- New York Army National Guard Master Sgt. 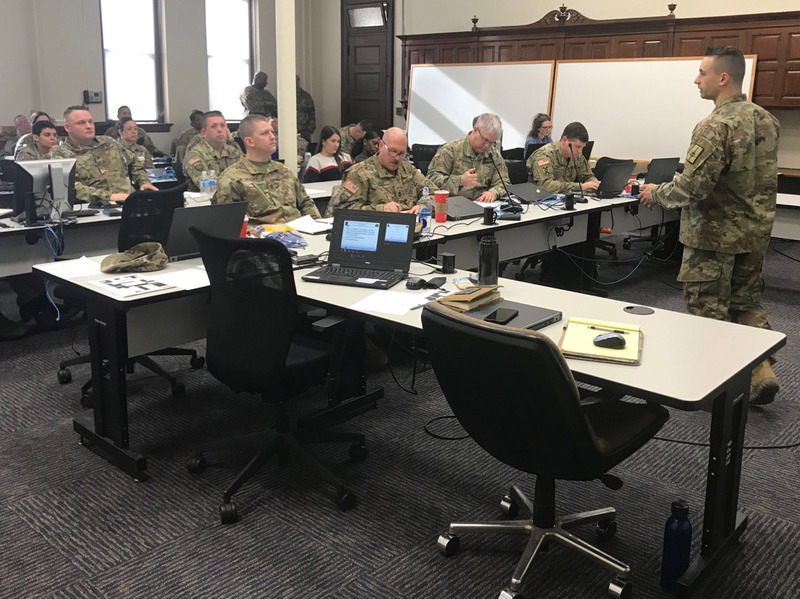 John DAndrea the logistics NCO for the 153rd Troop Command speaks with logistics officers and NCOS assigned to western New York Army National Guard units during a logistics workshop held at the Connecticut Street Armory in Buffalo N.Y. on March 6 2019. Thirty-five people attended the day-long workshop during which common issues common solutions and upcoming supply challenges were discussed. The plan is to have additional workshops because this one was very successful. (U.S. Army National Guard photo courtesy Master Sgt. John DAndrea.